My goal is to create sculpture that is functional but carries a special ceremonial weight. I hope each piece becomes a part of a ritual that will bring joy to the user. Some pieces are meant to be used daily while others more intimately for special occasions. Many pieces are meant for group consumption with the hope that people will share their time and stories. I borrow textures and imagery from the great outdoors. 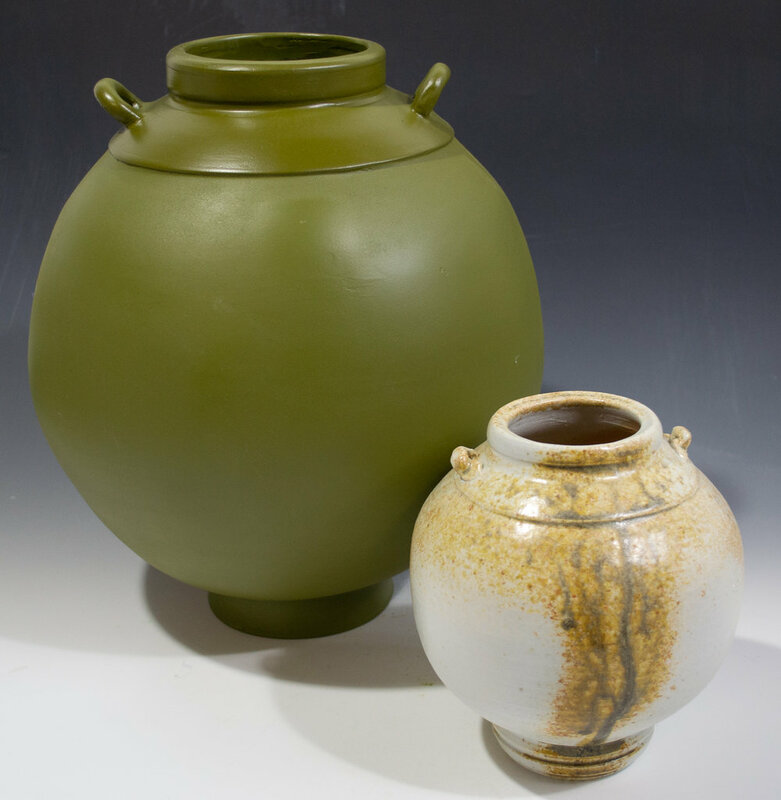 I use all types of ceramic materials and firing methods to blend earthy colors of clay and wood fired finishes with bright juicy celadons reminiscent of water or cold ice-like porcelain. Many pieces feature an unglazed area to highlight the raw clay body. I want the user to connect with the natural feel of the material. My hope is to draw in viewers with imagery or objects reminiscent of the sea or mountains. These are places I truly feel free and hope to encapsulate that in my work.